With darkness descending and cold drizzle falling on the grave of America’s most famous horror writer, hundreds huddled just a few steps away, inside the sanctuary of a stately old church, to celebrate the lives of two men who have come to be intrinsically tied to one another: Vincent Price and Edgar Allan Poe. Behind the Mustache: The Lives of Vincent Price and Edgar Allan Poe gave fans a chance to honor Poe on the eve of his 206th birthday and to celebrate the life of actor Vincent Price, who passed away twenty-one years ago. 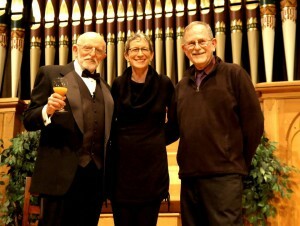 On hand to laud Poe was John Astin, best known for playing Gomez in The Addams Family. 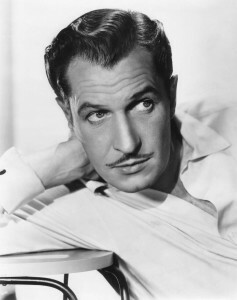 And remembering Price was his daughter Victoria, author of Vincent Price: A Daughter’s Biography. The celebration took place at Westminster Hall and Burying Grounds, 519 West Fayette Street, Baltimore, Maryland. Edgar Allan Poe has long garnered worldwide fame, not only for his moving poetry, but also for tales of terror and suspense such as The Tell Tale Heart, and for inventing the detective story with his character C. Auguste Dupin. Almost equally famous is Price, who during a 60 year acting career, embodied many of the personalities Poe so vividly depicted in his writing. 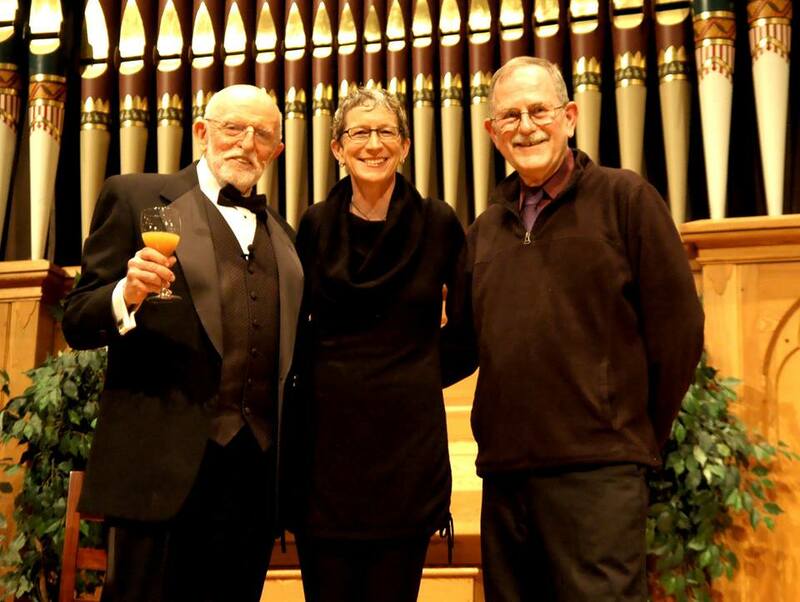 Victoria Price spoke first, and in a presentation which lasted close to an hour, fondly recalled memories of a man whose life was immersed in art, movie-making and burlesque. Price also enjoyed sports, including baseball and deep-sea fishing. But it was in acting he lived his dream, despite the early advice of a famous friend. Better advice would come from the first lady of the American stage, Helen Hayes. “In 1935, while appearing on Broadway, my father was offered a million dollar contract to come out to Hollywood. But Dad was very humble and he always wanted to learn. So he went to Helen Hayes to ask if he should accept the offer. She asked him, ‘Do you feel you know your craft?’ and he said, ‘Well, no, how can I? I’ve only been in one and half plays!’ And she said, ‘Exactly. If you don’t want to be a flash in the pan, you turn down that contract and you learn your craft,’ and he did. Price would learn his craft by doing summer stock and then returning to Broadway, and while working with Orson Wells’ Mercury Theatre. But it would be in Hollywood, and in the sinister roles he is best known for today, that he truly found his niche. Victoria concluded her reflections with a short glimpse of Vincent’s appearance on the Dean Martin roast of Bette Davis, and by recognizing two people – Tim Burton and Michael Jackson – for bringing her father’s unique persona to a new generation of fans. “As long as there is Halloween, there will be Thriller,” she said. John Astin’s gripping forty minute presentation focused primarily on letters about Poe, including one which recounted the recollections of an old classmate, Dr. Creed Thomas. Astin also shared several poems, including The Raven, To Helen and Eldorado. At one point, the actor paused for a few moments of personal refection about how Poe has impacted his own life. After the event, many migrated to the Annabelle Lee Tavern in Highlandtown for dinner. Lou Ann Homan and Morgan Sauer had traveled from Indiana. For the pair, it was their first trip east to visit any of the sites associated with Poe, and a chance for Sauer, a high school senior, to “call” Homan on a promise she had made to undertake such a venture. Homan added that she teaches at Trine University in her hometown of Angola, Indiana. Each October she sponsors a Poe Night there. 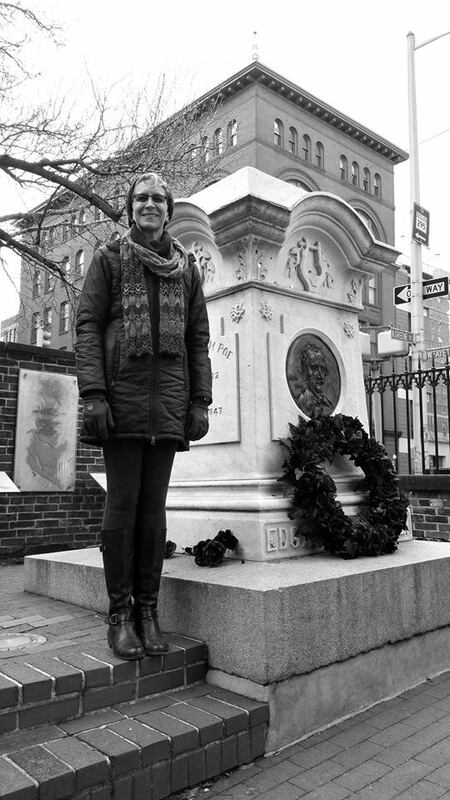 Baltimore’s Poe birthday festivities concluded on Monday afternoon with a wreath laying at his grave. About 25 fans were on hand as Victoria Price joined actor Tony Tsendeas and Jeff Jerome, Curator Emeritus of the Edgar Allan Poe House and Museum, for this ceremony. The author who influenced the early writings of my teenage years! A genius beyond genius, Poe will live on throughout eternity in his words and in our hearts. I will meet him one day on the other side, if God so permits. Awesome article from an awesome writer… I shared on my FB wall.